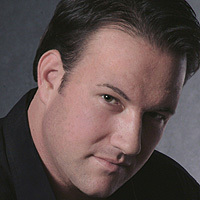 Praised by the New York Times for his "impressive ... bright-voiced tenor," Scott Ramsay is highly regarded by opera companies and symphony orchestras across North America and abroad for his dynamic performances in repertoire ranging from Baroque and bel canto to the 20th Century. Following his portrayal of Edgardo in Lucia di Lammermoor, under the baton of Jesús López-Cobos with Lyric Opera of Chicago, the Chicago Sun-Times proclaimed, "He brought a passionate intensity to the role that matched the fire of Dessay's riveting Lucia." His European debut in the same role quickly followed to great acclaim at the Dublin International Opera Festival. Of his Canadian debut in Verdi's Requiem with Sir Andrew Davis and the Toronto Symphony Orchestra, the Globe and Mail declared, "He proved a real find. His Ingemisco, Hostias and solo in the Lux Aeterna, had a sweetness and modest purity reminiscent of vintage Bjoerling and Simoneau." Composer Lawrence Axelrod’s The Heart Revived is his second album for Innova Recordings, following 2013’s The Six Brandenburg Fantasias. In this new collection spanning almost twenty years of compositional activity, Axelrod displays a wide breadth of expression and emotional range, always full of passionate engagement.